Geoline Ltd. are delighted to announce that we are running a detailed training on the correct use of our water-filled flood barriers in the UK in the coming month. We are working closely with South West Water to prepare well ahead for any potential flooding situations, to minimise flood damage. Our team is well prepared and looking forward to the training event at the Knappmill water treatment works, in July 2018. 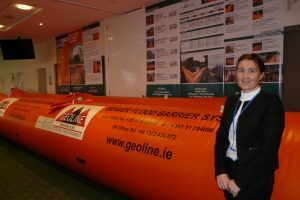 Inflatable Flood Barriers and Versatile and Practical compared to many Traditional Flood barriers. Are Inflatable Flood Barriers the Best Solution for you? 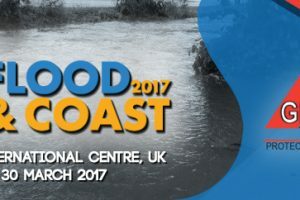 The Flood Expo is the largest event in the world that is focused on presenting solutions to widespread flooding problems. 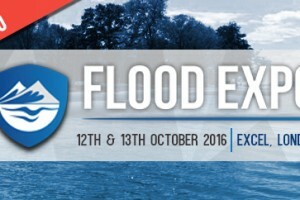 We’ll hear from the world’s leading flood prevention companies with an extensive seminar and an array of workshops showcasing new and cost-effective ways to prevent and manage floods.